Video conversion is one of the most basic need of any person who loves watching movies, prank videos or video songs on his computer as well as his smartphone. There might be a possibility that the device you own might not support a particular video format and at such moment you need to convert that video to the supported format and that’s when you need a video converter on your computer or your Mac. 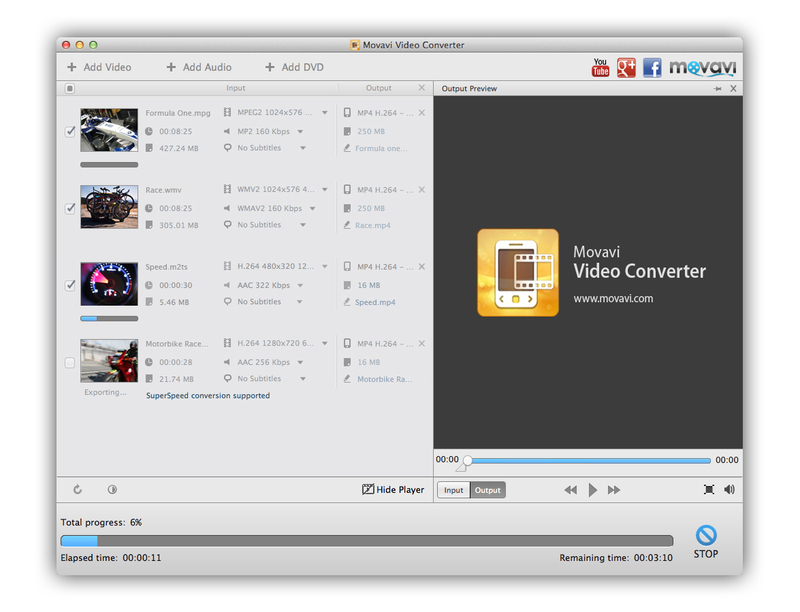 So here we are going to see a little about the fastest video converter, the Movavi Mac Video Converter software. 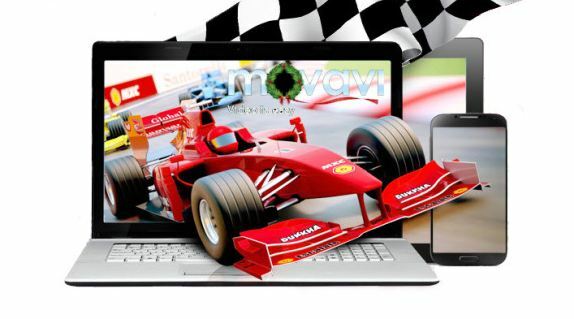 Movavi was established in 2004 with a sole aim of providing a better multimedia experience to the computer and smartphone users worldwide. It offers a number of tools that can help you with your photos, videos and music on any platform and any device. When it comes to finding a software for one of these things, you should head over to their site to get the best and the fastest tools. Movavi has not just been creating softwares for only Windows OS or Mac but they are offering both the versions so that not a single person misses out on this products. Movavi video converter for Mac is one of the fastest, easiest and the best video conversion software you might have used. Long story short, this is the ultimate tool you will ever need for your conversion needs. You can easily load an audio or video file and using the super easy user interface, you will see your media being converted to the desired format in no time. Movavi video converter for Mac supports a long list of video formats and its next to impossible to find out some video format that isn’t supported by it. Moreover, you can convert the videos for Apple’s devices like iPhone and iPad or other smartphones like Samsung and Nexus devices. You can see a complete list of supported formats and devices on the official site. The software promises to give you the fastest conversion speed. When you select a file and hit the start button, you will feel that you are not converting the video but just copying it to another location. That’s how fast it is! With the Editing features it has to offer, you will be able to cut some movie portions or even make a long video by merging different files in to one, rotate the video and fine tune the video parameters like brightness and contrast. The Smart Fit feature will make sure that your video fits perfectly when you change the resolution and aspect ratio. It has an Auto iTunes sync feature that syncs the converted files easily with iTunes for easy and convenient data transfer. Like a particular background score from a movie and don’t know how to get it? 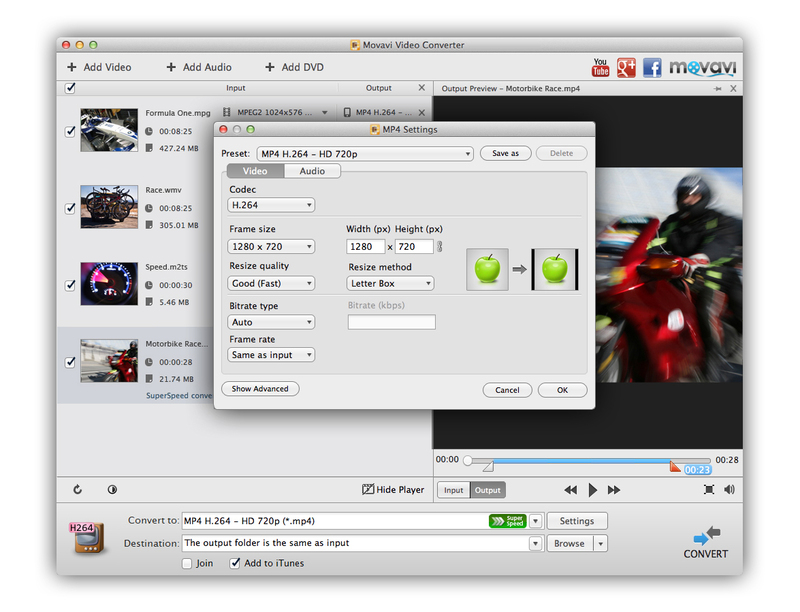 With Movavi Mac Video converter, you can extract the audio file from the video easily. The Preview feature lets you see what the output will look like so that you can make the proper changes in the settings for the best results. Step 1: Download the software on your Mac and install it. The video converter is available at a really cheap price. Step 2: Open the Movavi converter for Mac and you will see a dashboard where you can either add video files or audio or DVD files for conversion. The left hand side will show you the media files you have selected for the conversion process and on the right side you will be able to see the output preview. At the bottom, you will see a small checkbox, which you can use to sync it with iTunes. Step 3: Select the media files and apply the settings as per your requirements. You can change the resolution, change the frame rate and frame size and you can even select the quality of your output file. Step 4: Hit the Convert button and the conversion process will begin. So that’s all you have to do, just 4 little steps and your unsupported video is now fully supported by your device. 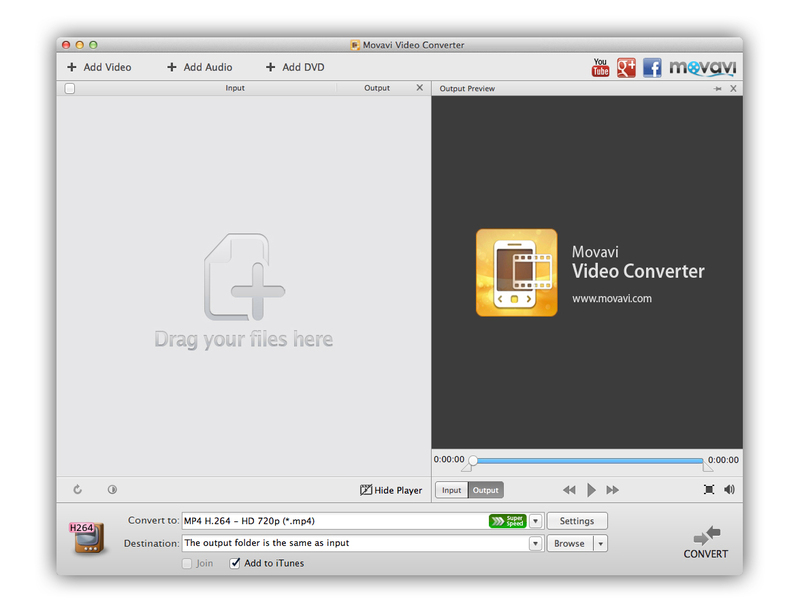 You can get the Movavi Mac Video converter right now at the lowest and best price possible. 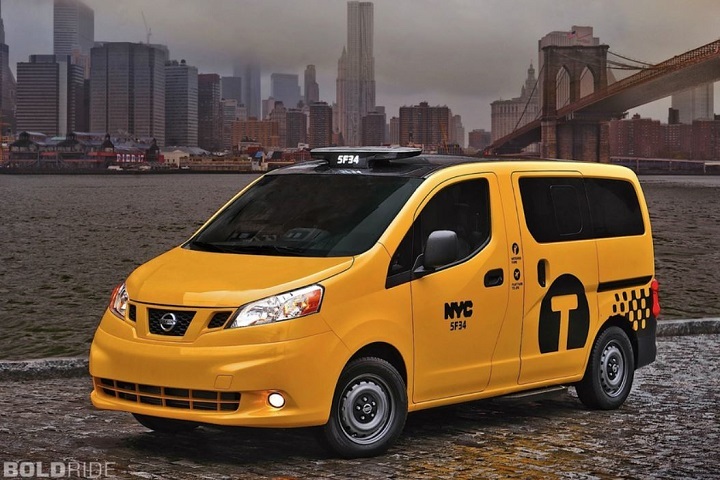 There is no particular fixed price for the product as there are always certain deals going on and when there are no deals, you will still find a low price for the product. So download the best video conversion software right now on your Mac and don’t forget to share your thoughts with us. 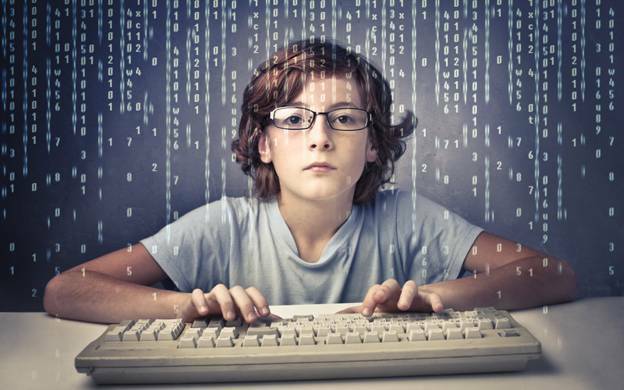 I am sure you will only praise the way the software works!